Social proof usually goes a long way in vouching for a product’s performance. Consider the fact that Smith & Wesson has sold over a million M&P Shields and it’s instantly obvious that they must be nothing short of amazing. The M&P Shield is a well-rounded, affordable, reliable pistol that can be hidden almost without effort. 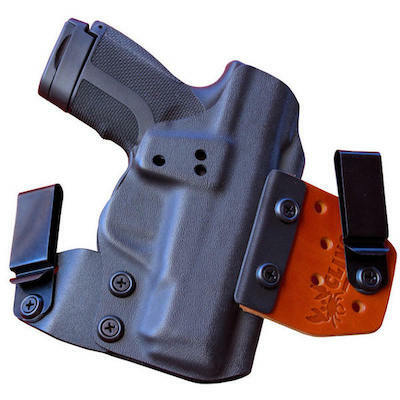 It’s pretty safe to say they’re amazing, and look great in our Kydex S&W M&P Shield 9mm concealed carry holsters. What’s more, many of the top handgun reviewers have ranked the M&P Shield at the top of their Single Stack 9 comparisons. Common competition is the Glock 43, Ruger LC9, Springfield Armory XDs, and Walther PPS M2. Although some reviewers noted that the Shield beat out a couple of the newcomers because of its bullet-proof track record. It has been out for a few years & there are no recalls or other surprises with the Shield. It just plain works. It is extremely reliable. When searching out a defensive handgun, reliability should be the first checkmark on your criteria list. At first glance, it might appear that Smith & Wesson entered 2 guns into the same category. The M&P 9c is similar in most dimensions after all. However, the Shield’s thinness is where it really stands apart. 0.2 inches thinner may not sound like much difference in girth but it makes a huge difference in concealment. Being a Single Stack 9mm, the Shield is limited to 7 or 8 rounds of ammo. It’s the standard Concealed Carry compromise. 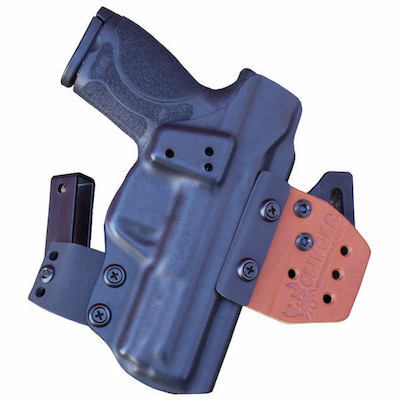 Give up bullets for more concealment or give up concealment for more bullets. 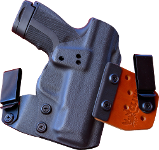 Another attribute of the Shield also aids in concealed carry: it’s very lightweight at 19 ounces and fits well in our concealed carry holsters for M&P Shield. 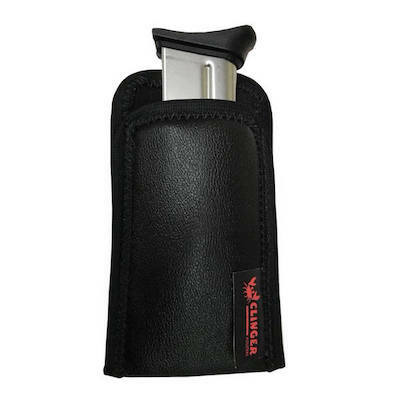 When handling the S&W M&P Shield, you’ll immediately notice a nice polished fit & finish. Then you’ll notice how well it’ll fit your hand. The Shield is one of those rare gems that just feels like it was made for your hand. The ergonomics are part of the reason the Shield was propelled to such popularity. Next, you might notice the oversized trigger guard which will help you find the trigger easily (even with gloved hands). The Shield doesn’t just look good and feel good. It shoots too. The first thing some will notice at the range is that you can field strip it without pulling the trigger. That’s a nice feature that should be engineered into more pistols. 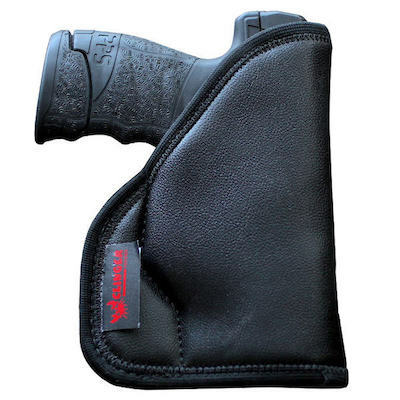 A cool feature for any Lefty’s out there is the reversible mag release. After you’ve plowed through a few boxes of your favorite range ammo, you’ll first notice 2 things. One, it’s fairly accurate for its size. And two, it’s very reliable. The Shield handles great too. The 6.5-pound trigger has an audible reset that’s easy to feel. Plus, recoil is pretty manageable thanks to the dual recoil spring. 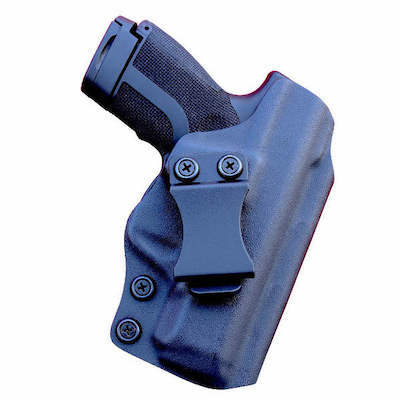 All in all, the Smith & Wesson M&P Shield embodies what the perfect carry pistol should be. 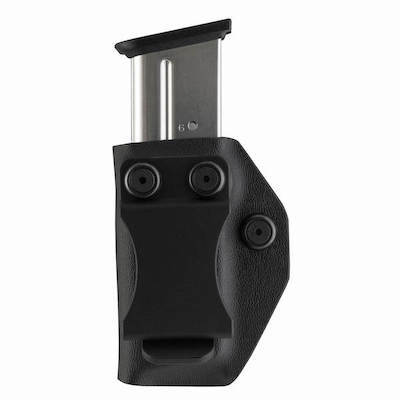 Also check out our M&P Shield M2.0 holsters.